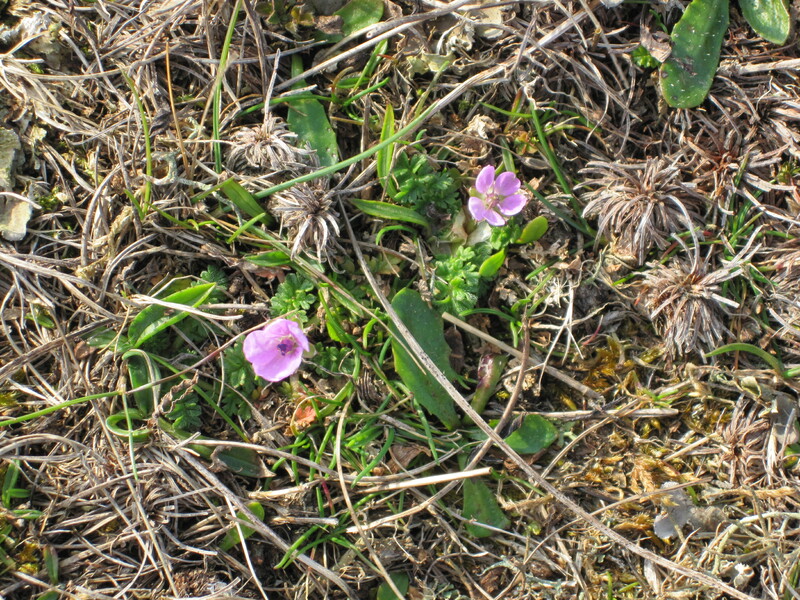 Spring on the Chesil Bank starts near the ground where there is the most shelter from the wind and salt-spray. Hares hunker down in the gullies, perfectly camouflaged against the tan and brown shingle. I was lucky to see my second hare this week as it leapt up right in front of me from one of these hollows, before jagging off across the pebbles towards the sea. 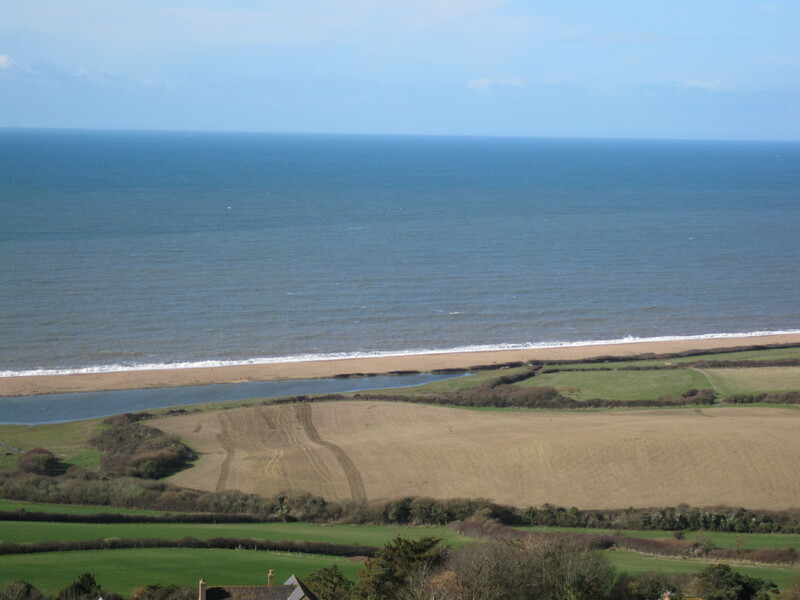 On the eastern end of the Chesil, to the lee of the Bank, several plants are tentatively starting to flower from foliage flattened against the shingle. 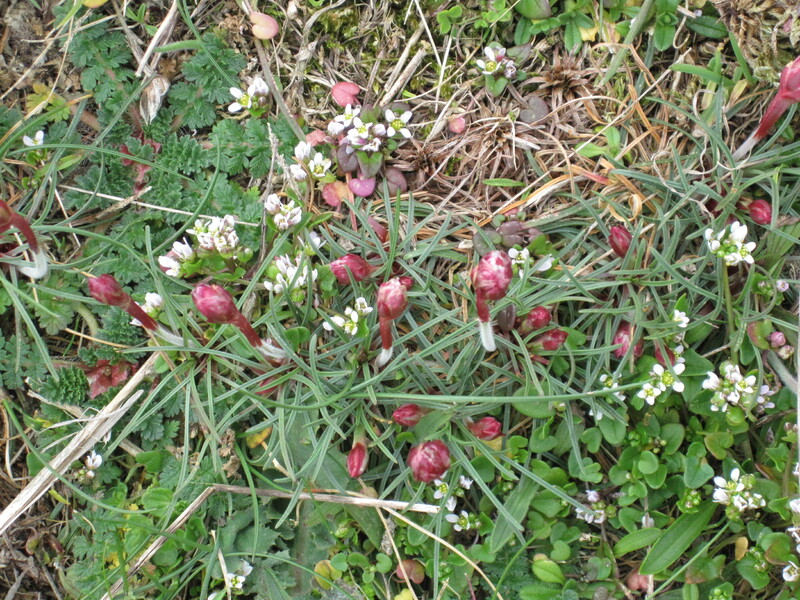 Low clumps of Thrift are sending up small aerials with dark pink buds drawn by the sun. 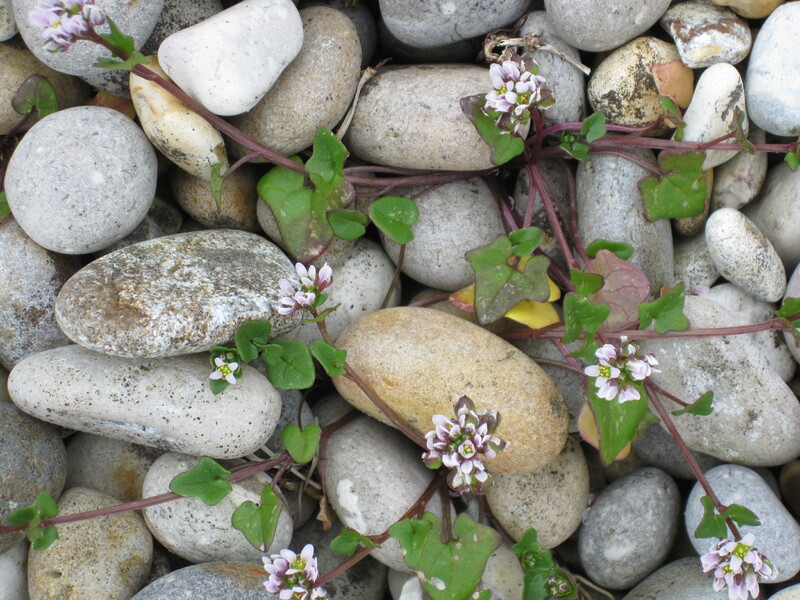 Tiny white petals of Danish Scurvy scatter like snow flakes among the pebbles. Common Stork’s Bill has braved the cold with delicate girly pink flowers. 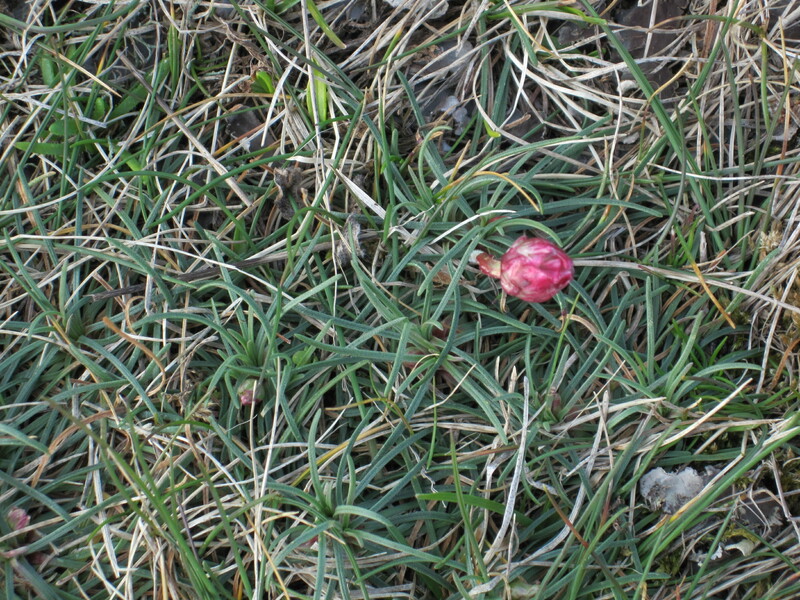 It’s strange how the earliest of Spring flowers always appear to be the most fragile yet survive the cold and inhospitable conditions. 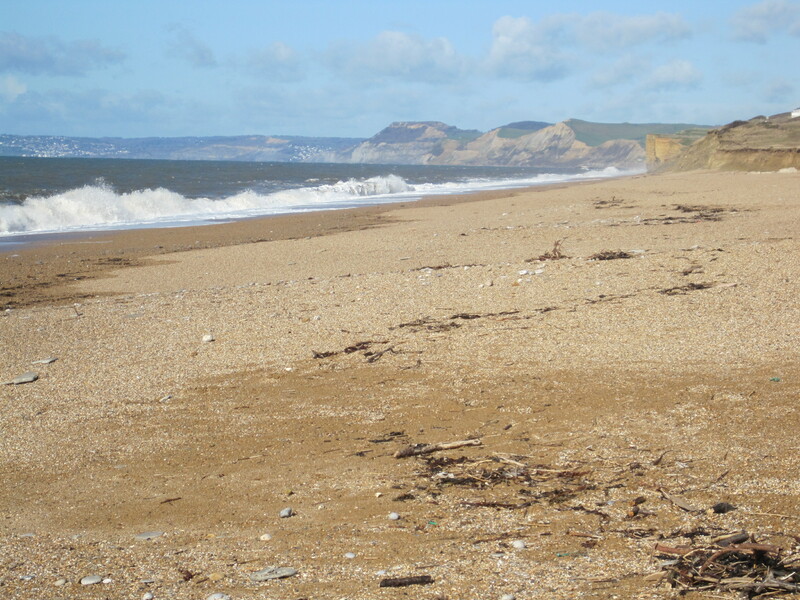 Towards the western end of the Chesil Bank, however, the plants are quite different. 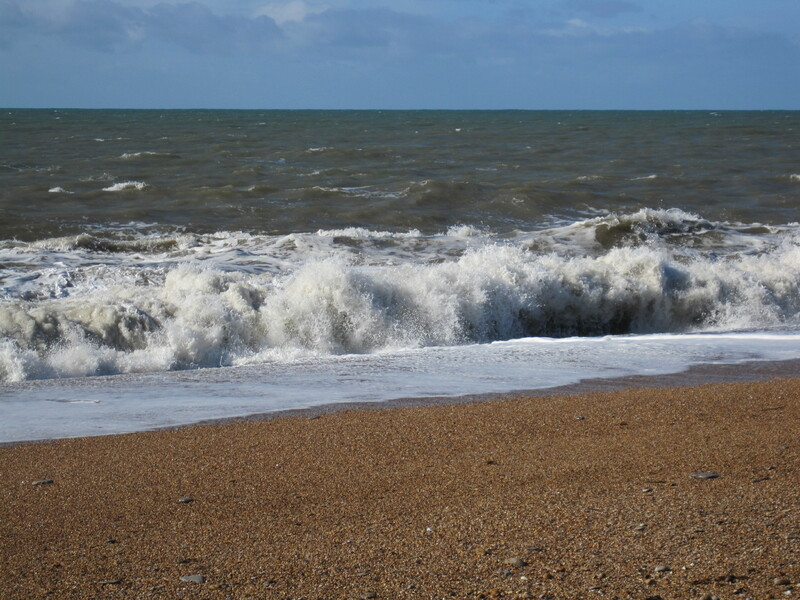 Here the pebbles are much smaller and the shingle is sandier. 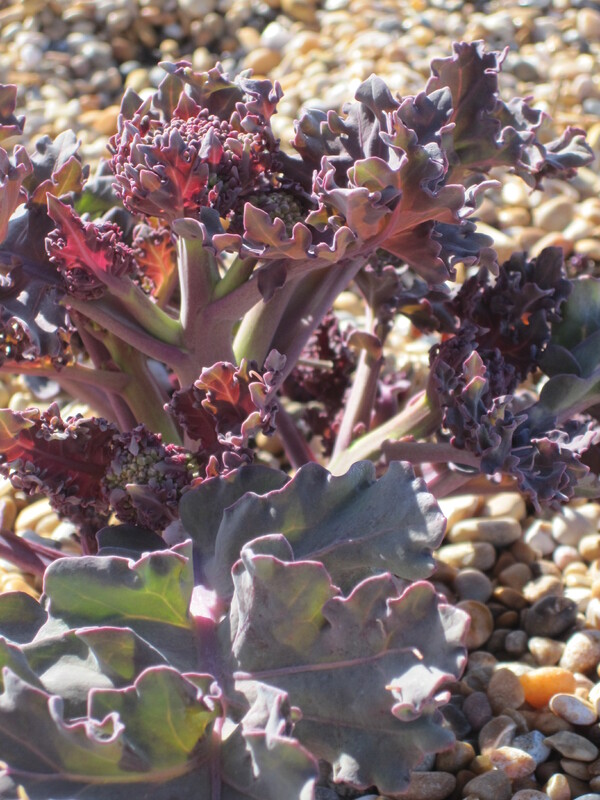 Nothing is growing on the seaward side, but behind the bank of pebbles, Sea Kale is sending up new growth of rubbery purple leaves, frilled and curled against the salt winds. 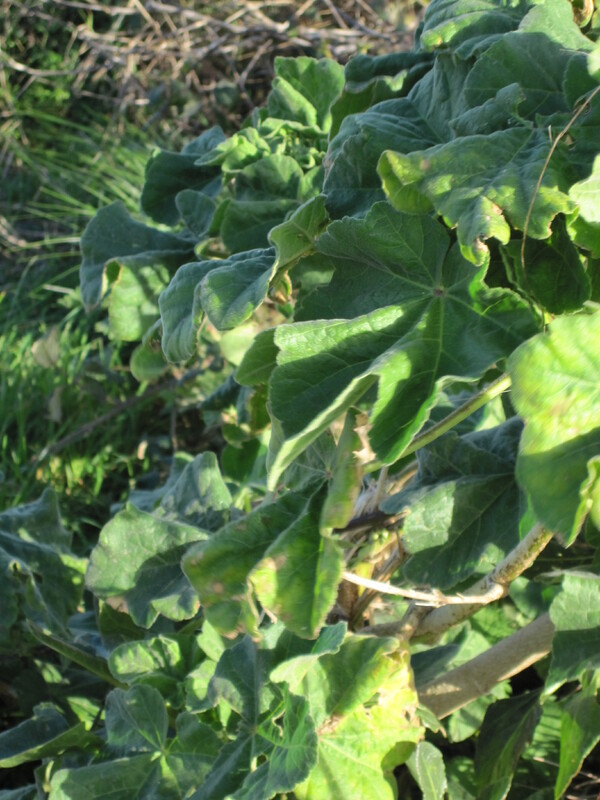 It is perfectly adapted to resist the harsh conditions of spray and gales with its knobbly gnarled stems, low habit and fleshy leaves. 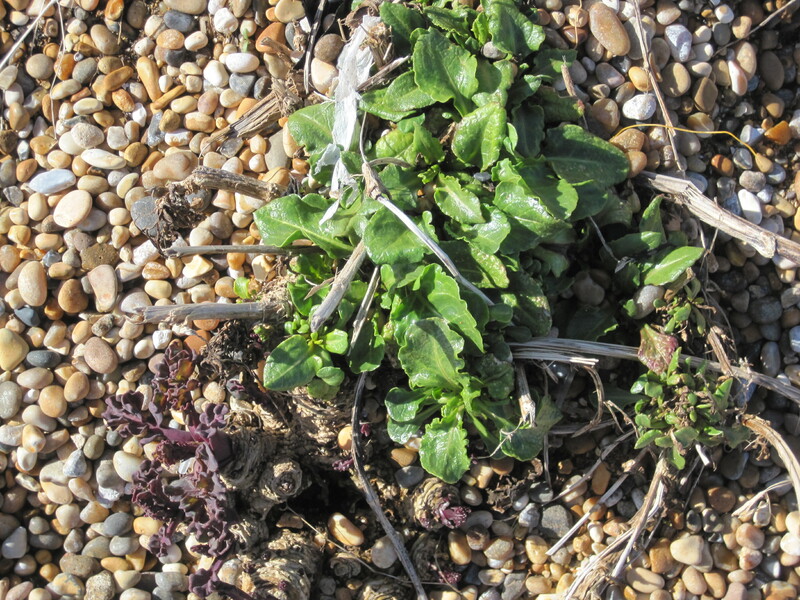 Sea Beet, the ancestor of Chard, Beetroot and Spinach, is spreading glossy leaves in fecund clumps among the pebbles and Tree Mallows with their woody stems and umbrella-like leaves seem to withstand whatever weather is thrown at them. 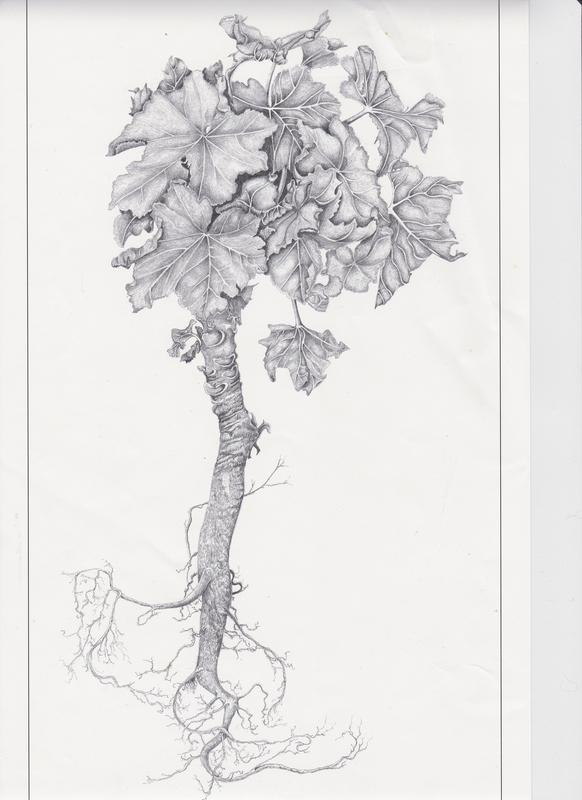 I shall be following the development of Chesil plants throughout the year with regular updates. I’m looking forward to the spectacular Horned Poppy in the Summer and the Agapanthus-like Babbington’s Leek – so watch this space!